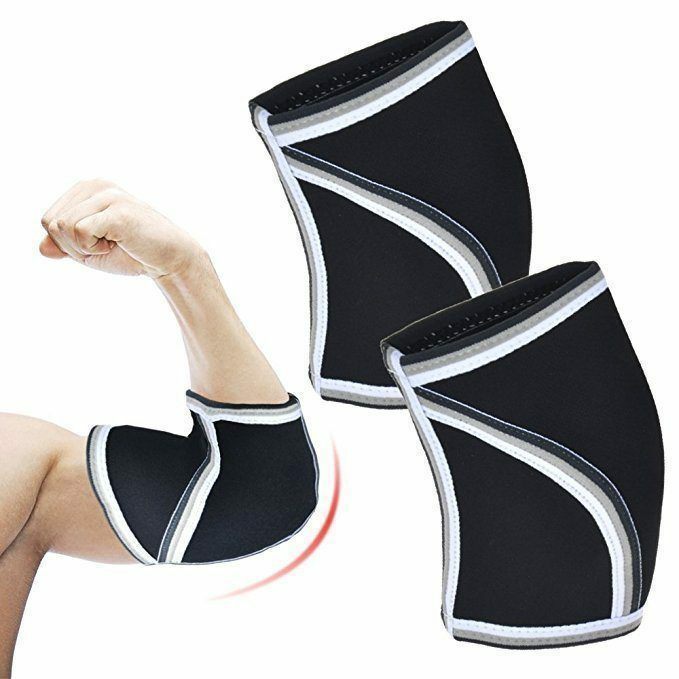 These Elbow Sleeves have 7mm of neoprene elbow support. These Elbow Sleeves have 7mm of neoprene elbow support ,other Sleeves on the market range between 2mm and 5mm . With 7mm you get the most possible support out of your elbow sleeves during exercise. Plus the bonus of the 7mm you create more warmth in the elbow joint, which in return creates less chance of injury.